Given all this, once this week’s Polar Vortex hit, I got inside and I stayed inside for two days. Most businesses were closed and I worked from home. On Wednesday (with a high of -12°F and a windchill of -40 to -55), I did not walk out the front door of my tiny apartment. Yesterday, I only ventured down the blocks to the store at night once the temperature rose to positive digits. Obviously, I did not do any running from Tuesday night until now (Friday). I’ll get back to running this evening as normal. I could have done some exercise in the apartment during the interim. I have a number of bodyweight exercise routines I could do on my floor. I could have run the stairs for some aerobic exercise. But I did nothing. I didn’t rest for three days because I was just lazy or used the weather as an excuse. Three days rest was an active, conscious training decision. – My left calf was somewhat sore following the F3 Half Marathon. My left leg cramped badly after the race, and along with requisite fatigue my calf must have bruised from how hard I cramped following the race. I could stand on it fine and only felt pain in certain situations, so I knew it wasn’t strained or sprained. But, still limping on it some, I knew it could use the extra rest of three full days of sitting. – I walk all the time everyday as part of living in Chicago. The opportunity to just sit and not have to do anything at all was a welcome opportunity to get extended rest I’m not used to getting. – Polar vortex or not, this was the perfect time in the Vancouver training cycle to scale way back on training. Having just run a half marathon as a goal race, ideally I should take about a week of easy days to allow for recovery. And it’s early in the cycle, right around where a step-back week would make some sense. That a polar vortex came along to force me inside for entire days faciliated that and prevented the temptation to go out and train when it’d be best for me to rest. So, while sure I could have done some resourceful cross training while cooped inside… I realized the vortex provided an opportunistic blessing in disguise. It gave me the chance to take a full rest for a couple days and give my body some extra recovery. 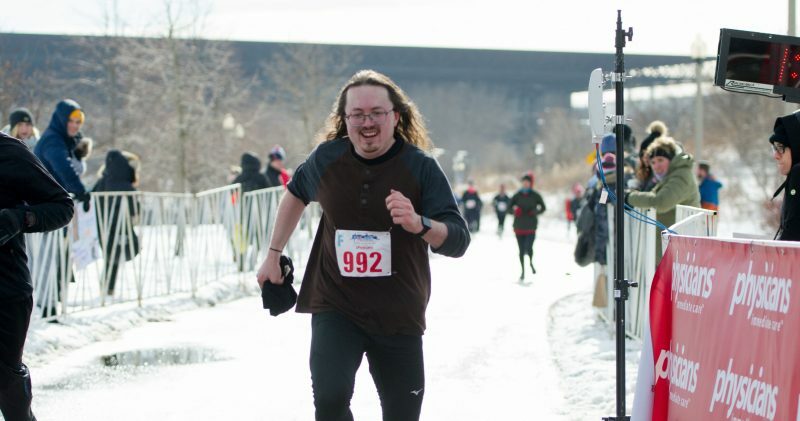 I’m ready to get back out in the cold and run, six days after the F3 Half. I’m not sure I would feel this good had I been training all week.